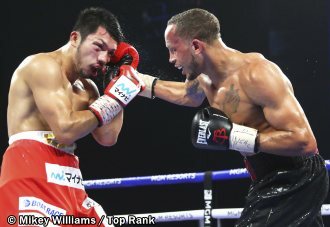 LAS VEGAS (Oct. 20, 2018) — Rob Brant came into the ring a heavy underdog. He left it a champion. 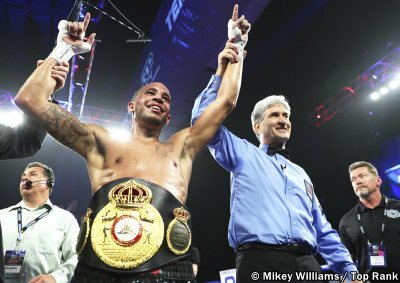 Brant, from St. Paul, Minn., toppled Ryota Murata by unanimous decision to win the WBA middleweight title in front of 2,782 fans at the MGM’s Park Theater in Las Vegas. Brant is all smiles after his victory of Murata. 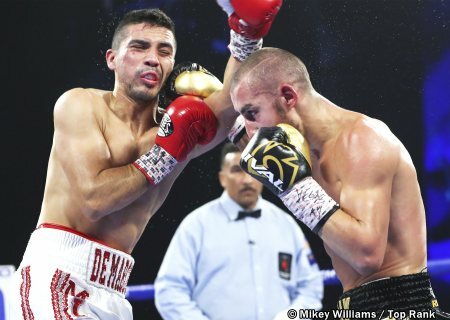 Maxim “Mad Max” Dadashev had never seen anything like Antonio DeMarco before. A former lightweight world champion, DeMarco stunned Dadashev on multiple occasions, but Dadashev had enough left in the tank, closing strong down the stretch to win a unanimous decision (96-94, 97-93, 98-92) and retain his NABF super lightweight title. 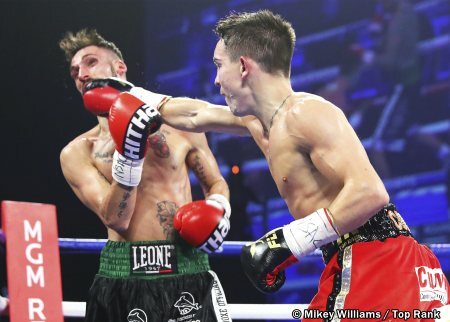 Conlan connects with a right at Cipolletta. Conlan (9-0, 6 KOs) pushed the pace against the defensive-minded Cipolletta (14-7-2, 4 KOs), who was making his American debut. Cipolletta, who was content to back up for much of the fight, succumbed from Conlan's vicious body attach. Adorno said: "I felt great going the distance for the first time. I wasn't tired at all and got the job done. I am very happy with my performance." Featherweight: Vladimir Nikitin (2-0, 0 KOs), unanimous decision, 6 rounds, Clay Burns (5-5-2, 4 KOs). Scores: 59-55 3X.